I have the benefit of generally waking up “on the right side of the bed”, as my mother used to say. It is a rare day that I wake up in anything other than a good mood. The sun usually shines in through my curtainless window. I am greeted by the face of my loving dog and the world feels like it is waiting to greet me with the same happy mood. When I looked across my front lawn yesterday morning, I was greeted by these two smiling faces. 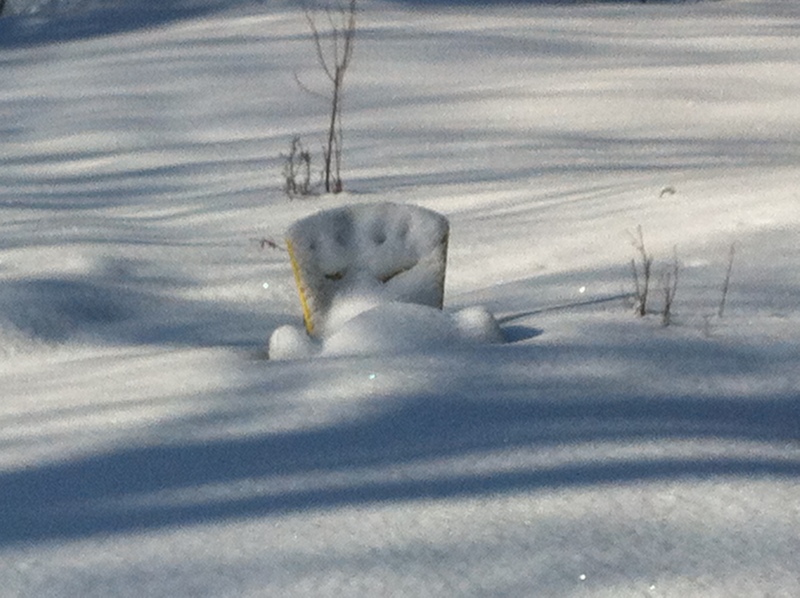 Randomly created by the snowfall, these faces adorned the back of the Muskoka chair that sits on the edge of my lawn anxiously awaiting the appearance of Spring. How can you not smile back when the world smiles at you first? Haha, how indeed. Too cute. It was a nice way to wake up. I forgot to tell you that your book was great! What a great photo, Susan! I’m always amazed by people who appear nervous if you smile or say hello…some are even coworkers! Thanks Jill. I agree with you completely. Beautiful post and photo. It is sweeter to live life on the bright side. It was a pleasure to read this post. Have a great weekend. I can’t get a smile like that in the morning until I finish my second cup of coffee. I may have been on my third when I finally saw it!